Why is data in South Africa so expensive? Why does it 'expire'? And is there anything that anyone can do about it? This is the second piece in a four-part series. Ask one of South Africa’s established telecommunications companies if data prices are too high and they’ll tell you that prices have been decreasing. Vodacom has "managed to reduce the effective price of data used by more than 40%" over three years. MTN says the effective rate per megabyte (MB) has dropped by 87% between 2011 and 2017. According to Cell C, the effective price per megabyte has decreased by 20% in 2016; 36% in 2017 and 28% in the first half of last year. Telkom says its data prices have come down, "especially over the past three years [up to August 2018]”. But while MTN says effective rates are the best way to track pricing, telcos were loath to share their effective price per MB (total data revenue divided by total data traffic). Vodacom described it as commercially sensitive information. Ofentze Dazela, director of pricing research at market research and analysis company Africa Analysis, says that while the effective price per MB of mobile data has come down in the three years up to November 2018, headline tariffs (standard prices before discounts) in the prepaid market have shown little movement. Telkom’s mobile data prices, which have decreased, are the exception, says Dazela. Cell C has "marginally decreased" the price of some of its entry level data products. Africa Analysis collects its own data on mobile data prices, including night-time data (as opposed to only focusing on the price of anytime data). If a discount is offered on a permanent basis – for example the bundle size increases but the price remains unchanged – it is considered a decrease in the headline tariff. Dazela says the decrease in the effective rate per MB has largely been driven by special offers to encourage off-peak data use – for example, where you buy 1GB of data and get one free. "But it is not something that the consumer can really plan to take advantage of. For me, it’s not meant to benefit the customer per se. It is a way to manage traffic on the network." It is possible to bring down data prices more rapidly, say Vodacom and MTN, if additional radio frequency spectrum is released. Spectrum is "a range of frequency bands at which wireless telecommunications or communication signals are being transmitted and/or broadcast," explains Paseka Maleka, spokesperson of the Independent Communications Authority of South Africa (Icasa). Candice Jones, Cell C’s senior manager for external communications, identifies the duplication of infrastructure as an impediment to the further decrease of data prices. "… [C]onsumers will often see two or three mobile towers in close proximity to each other, which is an unnecessary and expensive duplication, where instead operators could place their equipment on one tower." Cell C claims that Vodacom and MTN are reluctant to share infrastructure "as their strategy is to maintain the current status quo for as long as possible". But MTN executive for corporate affairs Jacqui O’Sullivan says the complaint of infrastructure duplication fails to recognise the benefits of infrastructure-based competition. Vodacom says Cell C’s comment should be seen in the context of its decision to sell its towers to a tower company "and then subsequently calling for the regulation of these facilities". Dr Onkokame Mothobi, senior researcher at ICT policy and regulation think tank Research ICT Africa, says data prices could be lower "if market characteristics were working properly". He refers to a number of factors related to regulation and input costs, such as the fact that competitive offers from operators don’t tend to drive other operators’ prices down; the lack of spectrum; and the fact that an operator such as Cell C is reliant on other operators’ infrastructure. Why have (certain) prices come down? Vodacom identifies competition, the use of more efficient network technologies such as 4G, 'robust' investment and cost savings as factors that have contributed to the decrease in data prices. It says the main contributor to a price drop of "more than 40%" over three years is the personalised bundles offered through its Just4You platform. "Just4You has vastly changed purchasing behaviour… Bundles with one-month expiry periods [used to be] our most popular. [In 2017] more than 80% of the bundles bought by prepaid customers had either an hourly, daily, weekly or fortnightly expiry period. Bundles with shorter expiry periods have been instrumental in making data more accessible to customers who have sporadic and limited disposable income." Vodacom denies that regulatory pressure played a role. "In fact, regulatory delays in assigning much needed high-demand spectrum restrained the pace of [price] decline." MTN explains the drop in effective rates as the result of capital investments to increase network quality and coverage, which led to an increase in data traffic. "Data traffic increased 23 times between 2011 and 2017, which has, in turn, resulted in the decreasing trend in the effective rate per MB over the years. Consistently growing volumes of data usage helps to facilitate the consistent decrease in pricing," explains O'Sullivan. Telkom’s Noma Faku, head of group communications and PR, says its decision to reduce data prices is a strategic one. "As a smaller player in the mobile market, the strategy enabled us to respond to consumer demand for lower costs of data and gain market share." 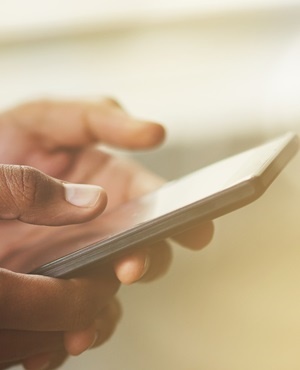 Erna Korff, Telkom’s managing executive for product development, says the fact that the increase in data traffic has exceeded the increase in mobile data revenue, shows that prices have come down. "We have grown our mobile data revenue with close to 60% year on year [for the six months ending September 30 2017]. But we have grown our traffic with more than 100%." She singles out FreeMe as an example of Telkom’s efforts to reduce data prices. Korff says the demand for data has increased because of video consumption and streaming (more than 50% of data traffic is a result of these activities). Telkom’s strategy has been to offer more data for the same price, which reduces the price per MB. Cell C says its ShoutOut bundles are an example of products that have brought down data prices. "[This offered] customers access to two of the most popular social media platforms [WhatsApp and Facebook] from as little as R4 per day (for up to 80MB) or R17 per month (up to 1 200MB)." In Dazela’s view, the #DataMustFall movement has not had a significant impact on mobile data pricing in the prepaid market. He says competition in the postpaid (contract) market has ensured better prices for consumers.